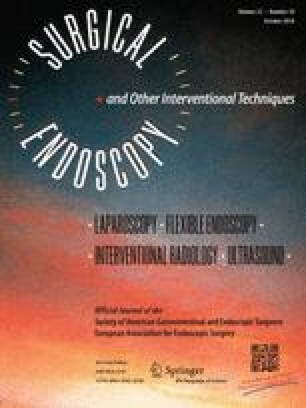 Primary closure after laparoscopic cholecystectomy (LC) and laparoscopic common bile duct exploration (LCBDE) is a safe and effective approach for treating cholecystolithiasis with choledocholithiasis. The aim of this study was to evaluate the learning curve of performing primary closure after LC+LCBDE. We retrospectively identified all patients who underwent primary closure after LC+LCBDE performed by a single surgeon from January 2009 to April 2015 in our institution, and analyzed preoperative, intraoperative, and postoperative data using the cumulative sum (CUSUM) analysis to evaluate the learning curve for this procedure. Overall, there were 390 patients. The total postoperative complications rate was 7.2%, including bile leakage in 9 (2.3%) patients and retained common bile duct stone in 3 (0.8%) patients. The CUSUM operating time (OT) learning curve was best modeled by the equation: CUSUMOT = 312.209 × procedure0.599 × e(−0.011×procedure) + 122.608 (R2 = 0.96). The learning curve was composed of two phases, phase 1 (the initial 54 patients) and phase 2 (the remaining 336 patients). A significant decrease in the OT (116.8 ± 22.4 vs. 93.8 ± 17.8 min; p < 0.001) and complication rate (16.7 vs. 5.7%; p < 0.01) including the rate of bile leakage (7.4 vs. 1.5%; p < 0.01) and retained stone (3.7 vs. 0.3%; p < 0.01) was observed between the two phases. In addition, 20 patients had conversion to open surgery. Impacted stones were independently associated with conversion, as indicated by a multivariable analysis. The data suggest that the learning curve of this procedure was achieved in approximately 54 cases. An impacted stone was the only risk factor that affected the conversion rate. Hengqing Zhu and Linquan Wu have contributed equally to this work. This work was supported by Grants from the National Natural Science Foundation of China (81760435), the Project of Jiangxi Provincial Department of Science and Technology (20161BBI90016), and the Advantage Innovation Team of Jiangxi Province (20153BCB24004). Hengqing Zhu, Linquan Wu, Rongfa Yuan, Yu Wang, Wenjun Liao, Jun Lei, and Jianghua Shao have no conflicts of interest or financial ties to disclose.